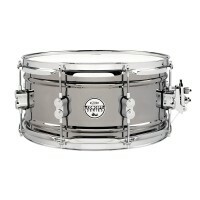 Ταμπούρα 10" - 12" - 13" - 14"
Ταμπούρα piccolo - soprano - rock - fusion κλπ. 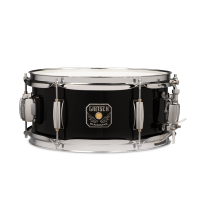 ​Basix 12"x4.5" Steel Snare Drum GewaΑπό επιχρ&ome..
Basix 14"x5.5" Steel Snare Drum GewaΑπό επιχρ&omeg..
​Basix 14"x6.5" Wood Snare Drum Gewa9 φύλλα μαόν..
​Basix 14"x5.5" Wood Snare Drum Gewa9 φύλλα μαόν..
BH-5510-BK Blackhawk Mighty Mini Snare Drum GretschThe BLACKHAWK 10''x5.5'' ..
BH-5512-BK Blackhawk Mighty Mini Snare Drum GretschThe BLACKHAWK 12''x5.5'' ..
Drumcraft Lignum Beech Natural Gloss 14"x6"
Drumcraft Lignum Beech Natural Gloss 14"x6" 12 layer Beech shell Nickelworks Throw..
Drumcraft Lignum Oak Satin Natural 13"x6"
DrumCraft Lignum Oak – Harvested in ChinaAn extremely loud but super sensitive snare drum ..
DW Collectors series Snare Black Nickel over Brass 14x6.5''Utilizing a thin industry-standa..
DW Limited Edition 14''x6.5'' The Mick Fleedwood "Rumours" SnareThe latest Collector's Seri..
DW Limited Edition Snare 14''x6'' Black IronWorld-famous drum builder Gregg Keplinger has h..
DW Performance Series Snare 13"x7" NaturalThe DW Performance Series Snare is construc..
DW Performance Series Snare 14"x5.5" Candy Apple RedThe DW Performance Series Snare i..
DW Performance Series Snare 14"x5.5" Ebony StainThe DW Performance Series Snare is co..
DW Performance Series Snare 14"x5.5" Gun Metal MetallicThe DW Performance Series Snar..
DW Performance Series Snare 14"x5.5" NaturalThe DW Performance Series Snare is constr..
DW Performance Series Snare 14"x5.5" SteelWith a thin 1mm rolled steel shell and slee..
DW Performance Series Snare 14"x5.5" White IceThe DW Performance Series Snare is cons..
DW Performance Series Snare 14"x5.5" White MarineThe DW Performance Series Snare is co..
DW Performance Series Snare 14"x6.5" Candy Apple Red https://www.youtube.com/wa..
DW Performance Series Snare 14"x6.5" Ebony StainThe DW Performance Series Snare is construc..
DW Performance Series Snare 14"x6.5" Gun Metal MetallicThe DW Performance Series Snare is c..
DW Performance Series Snare 14"x6.5" NaturalThe DW Performance Series Snare is constructed ..
DW Performance Series Snare 14"x6.5" SteelWith a thin 1mm rolled steel shell and slee..
DW Performance Series Snare 14"x6.5" White Ice The DW Performance Series Snare is cons..
DW Performance Series Snare 14"x6.5" White Marine https://www.youtube.com/watch..
DW Performance Series Snare 14"x8" NaturalThe DW Performance Series Snare is construct..
DW Performance Series Snare 14"x8" SteelWith a thin 1mm rolled steel shell and sleek,..
FCP-1250 Pearl Firecracker Wood 12"
ΤΑΜΠΟΥΡΟ PEARL 5'x12' FCP-1250 FIRECRACKER EBONY..
Gretsch Energy Snare 14''x5.5'' BlackSnare Drum : 14 " x 5.5'' .. 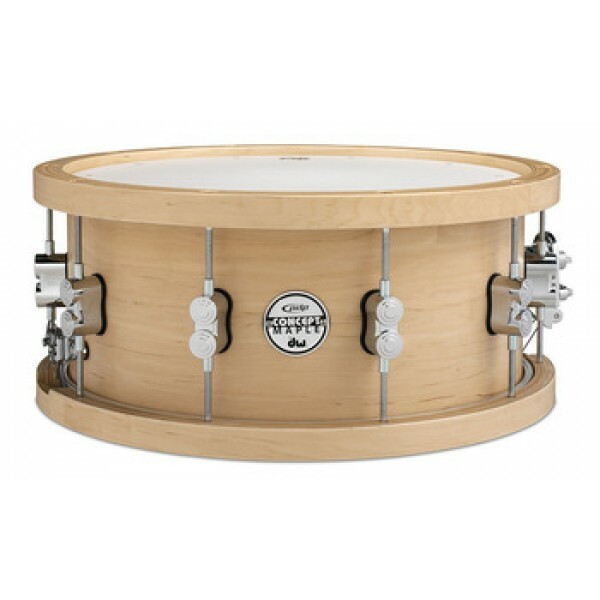 The Ian Paice Signature Snare Drum. 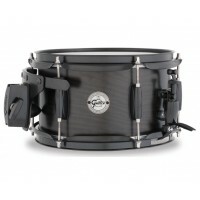 6.5'x14' IP-1465Innovative Timeless Legendary..
LP848-SN LP 8” Micro Snare https://www.youtube.com/watch?v=jV46qk4MzwoThis compac..
Pearl OH-1350 OMAR HAKIM SNARE Anyone that has heard Omar Hakim perform will remember t..
PDP Black Nickel Over Steel 10''x6'' Snare DrumConcept Series Metal Snare Drums from PDP fe..
PDP Black Nickel Over Steel 12''x6'' Snare DrumConcept Series Metal Snare Drums from PDP fe..
PDP Black Nickel Over Steel 13''x6.5'' Snare Drum https://www.youtube.com..
PDP Black Nickel Over Steel 14''x5.5'' Snare DrumConcept Series Metal Snare Drums from PDP ..
PDP Black Wax 10''x6'' Maple Snare Drum https://www.youtube.com/watch?v=5..
PDP Black Wax Maple 12''x6'' Snare DrumPDP Black Wax Snare Drums derive their moniker from ..
PDP Black Wax Maple 13''x5.5'' Snare Drum https://www.youtube.com/watch?v..
PDP Black Wax Maple 13''x7'' Snare Drum https://www.youtube.com/watch?v=R..
PDP Black Wax Maple 14''x5.5'' Snare Drum https://www.youtube.com/watch?v=T1g5r..
PDP Black Wax Maple 14''x6.5'' Snare Drum https://www.youtube.com/watch?v..
PDP Concept Series Wood Hoop 20-ply Maple Snare 14x5.5''Concept Series Wood Hoop Mapl..
PDP Concept Series Wood Hoop 20-ply Maple Snare 14x6.5'' https://www.youtube.com/..
PDP LTD Classic Wood Hoop 14'' x 7'' Snare DrumLTD Classic Wood Hoop Snare - Recently added..
PDSN0413SSEH PDP 13''x4'' Signature Snare Eric HernandezThe Eric Hernandez Europ..
PDSN0414SSEH PDP 14''x4'' Signature Snare Eric HernandezThe Eric Hernandez Europ..
PDSN0612SSCS PDP 12''x6'' Signature Snare Chad Smith PDP is proud to announ..
PDSN0614SSCS PDP 14''x6'' Signature Snare Chad SmithPDP is proud to announce the..
PDSN0713SSCS PDP 13''x7'' Signature Snare Chad Smith PDP is proud to announ..
Pearl Reference Steel Snare - RFS-1465 https://www.youtube.com/watch?v=IzkPnhgGeTU&nb..
Gretsch S-6514A-SF Steve Ferrone 14'' x 6.5'' Signature SnareThe Stephen Ferron..
S1-0514-BRH Gretsch Hammered Brass 14''x5'' SnareThe Gretsch Silver Series Hammered Brass s..
S1-0514-MPL Maple 14''x5'' Snare Drum GretschThe Gretsch Silver Series 10-ply Maple snare d..
S1-0610-ASHT Ash 10''x6'' Side Snare Drum GretschThe Gretsch Silver Series Ash ..
S1-0713-ASHSN Ash 13''x7'' Snare Drum Gretsch https://www.youtube.com/wat..
S1-0814SD-MAH - Swamp Dawg 14''x8'' Snare Gretsch https://www.youtube.com..
S1-6514-ASHSN Ash 14''x6.5'' Snare Drum Gretsch https://www.youtube.com/w..
S1-6514-BRH Hammered Brass 14''x6.5'' Snare Drum GretschThe Gretsch Silver Series Hammered ..
S1-6514-MPL Maple 14''x6.5'' Snare Drum Gretsch https://www.youtube.com/w..
S1-6514A-WH - Aluminum/Wood Hoop 14''x6.5'' Snare GretschGretsch welcomes another new membe..
S1-6514W-MI Walnut with Maple Inlay 6.5x14 Snare Gretsch https://www.youtube.com/watch?v=..
S1-6514WH-BSH Wood Hoop Hammered Black Steel 14''x6.5'' Snare Drum Gretsch &nbs..
Ταμπούρο DC Starter Set Gewa 14x5,5“ 9 φύλλα μαόνι Μαύρο, laminated ..
Sonor Snare 12x5'' Brown Galaxy Sparkle Sonor Snares are the pinnacle of Sonor .. 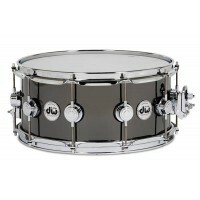 True Tone 14" 20-Strand DW ..
​​Basix 12"x4.5" Wood Snare Drum Gewa9 φύλλα μαό&n..
​​Basix 14"x6.5" Steel Snare Drum GewaΑπό επιχρ&om..